Posted on July 5, 2018 at 11:27 am. Chazz Oesch and his cousin, Matt Nichols, plus his dad, Ken Oesch — the “loud silent partner” — are all set to open their new brewery in the storefront next to the beer garden at the Rocky Mount Mills. They had a soft opening a few months ago and have been open on weekends selling various samples of their favorite dream-ups, but the official launch is coming for good on Saturday. 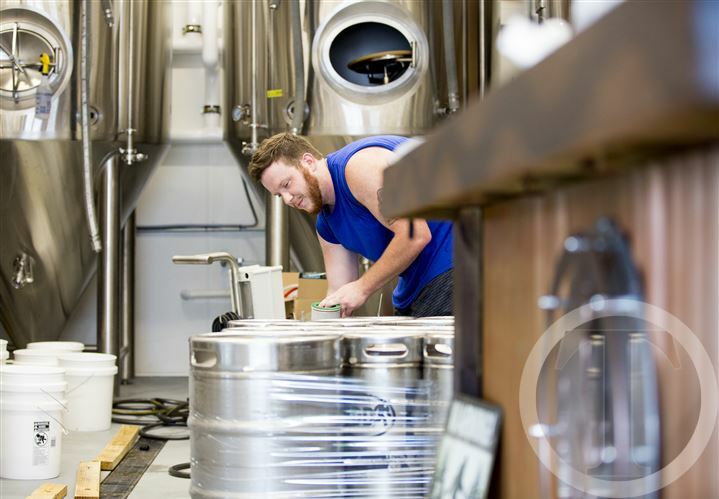 The Raleigh natives, who began brewing their own beer three years ago, chose BDD as their brand’s name. It stands for “Bucken da dicey,” which means nothing beyond the phrase that came out of Chazz’s dad’s mouth one night when he was actually trying to say “buckle the seatbelt” in a car’s passenger seat after a night of a few drinks.